There are 60 Flat and National Hunt racecourses in Britain, including 17 multi-purpose tracks offering both disciplines. But which exactly are the top ten racecourses in Britain and what makes them so special? Set among 350 acres at the heart of the Cotswolds, Cheltenham racecourse showcases some of the very best National Hunt racing in the country. Cheltenham began racing in 1815 and has since grown into one of the largest racecourses, attracting crowds of up to 68,000. The highlight of Cheltenham’s racing fixtures is the Cheltenham Festival. Which runs for 4 days in March and boasts 14 Grade 1 races. It is the most popular National Hunt meeting in the world and the pinnacle of Jumps racing, every owner, jockey and trainer dreams of running or riding a winner at the Cheltenham Festival. 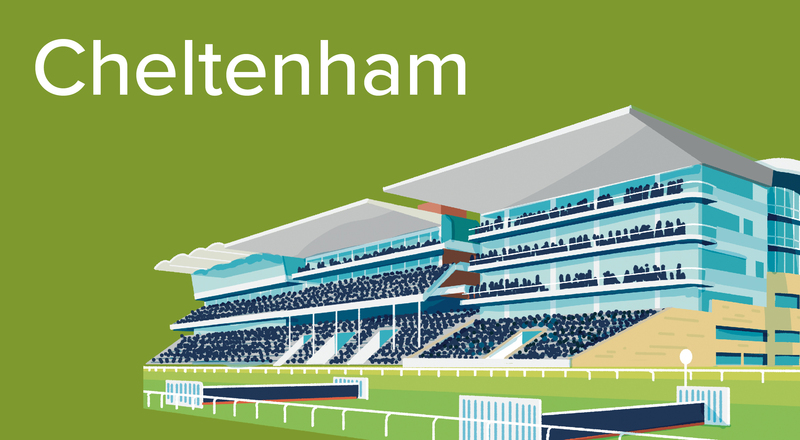 Find out more about Cheltenham races HERE. Ascot racecourse is considered the epicentre of British horseracing, hosting 26 days of top class racing including 9 Group 1 Flat races. The track is mixed purposed, with Flat and National Hunt fixtures throughout the year. However, it is at Royal Ascot where the track really sparkles. A 5-day festival in the heart of summer, gives racing fans and newcomers the chance to indulge in the finest entertainment, cuisine and sporting action around. Founded in 1711 by Queen Anne, Ascot has maintained it’s association with the Royal Family by catering for Queen Elizabeth II and other members of the British Royal Family each year at Royal Ascot. A true testament to British racing and tradition. 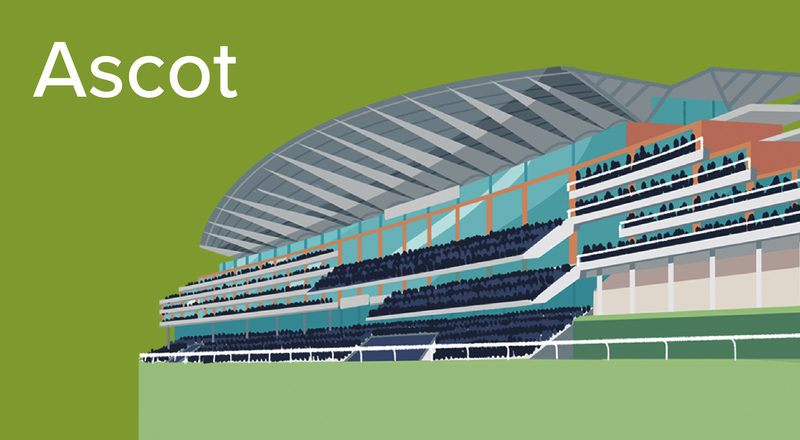 Find out more about Ascot races HERE. Aintree is located on the west of England in the heart of Liverpool and is the home of the Grand National. Originating in 1839, the Grand National is the longest jumps race in Britain and considered a National Hunt tradition. The Grand National sees record TV viewings and crowds in excess of 70,000 every year, which make it such a high profile event that is on everybody’s bucket list. Find out more about Aintree races HERE. Newmarket is widely regarded as the ‘home of racing’ due to their rich history in breeding and racing, stretching back over 3 centuries. There are two tracks that are ran on at different times of the season, the Rowley Mile and the July Course. The Rowley Mile operates at the beginning of the season before intermittently switching to the July course. This track covers the summer fixtures from June to August, before returning back to the Rowley Mile for the remainder of the season. There are many training yard surrounding Newmarket, which make it a popular venue for owners and trainers. 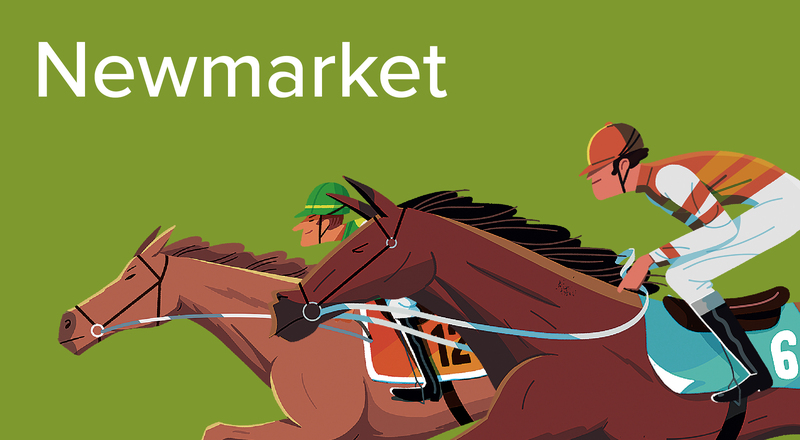 Find out more about Newmarket races HERE. Awarded the ‘Best Racecourse in Britain’ 4 times, York is a fantastic tourist attraction in the heart of Yorkshire. It’s rich heritage dates back to Roman times, with archaeology evidence that racing on the Knavesmire first began as early as 1530. York hosts Flat racing through the summer months, with it’s feature highlight the Ebor Festival at August’s end. As one of the most premier tracks in Britain, York attracts high quality racing as well as the glitz and glamour of a high profile event. With stunning views and friendly crowds, it’s the perfect venue for a day out in the sun. Find out more about York races HERE. Goodwood is one of the most southern racetracks in Britain, host to the Glorious Goodwood festival and home to 13 Group races throughout the year. Overlooking the Sussex Downs, it’s picturesque backdrop and unique track undulations make it one of the more remarkable courses in the country. Racing only occurs here from May to October and is highlighted by the Glorious festival in late July/early August. This is sandwiched by the Spring Meeeting before and the August and Autumn meeting later on in the year. 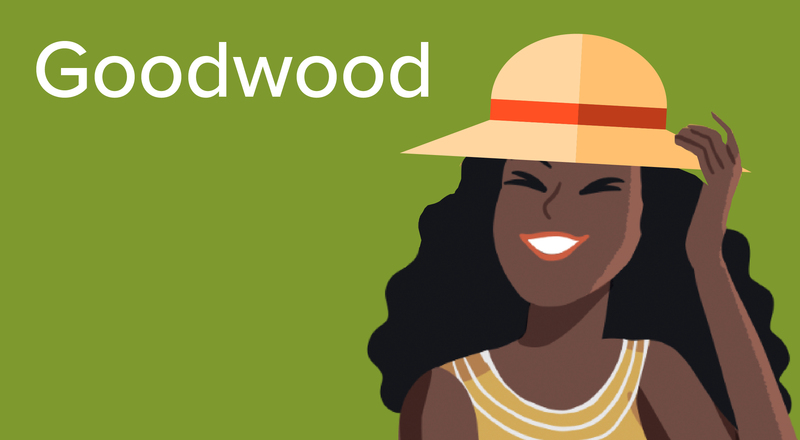 Find out more about Goodwood races HERE. 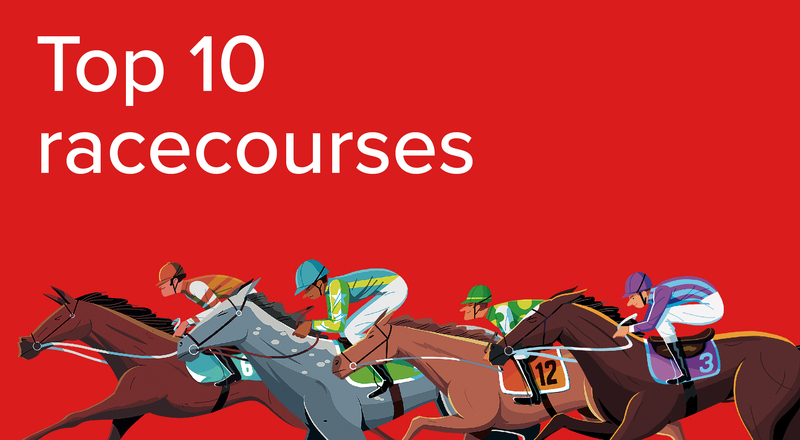 Another fantastic Yorkshire course, with a mixed purpose track catering for both Flat and National Hunt racing for a total of 36 meetings throughout the year. The official Flat season begins and ends at Doncaster. The Lincoln meeting kicking things off in April and the St Leger meeting closes the season in September. National Hunt racing fills the remainder of the calendar which is equally entertaining. Racing on the Town Moor has a rich history in racing, and home to the oldest classic horse race; the St Leger. 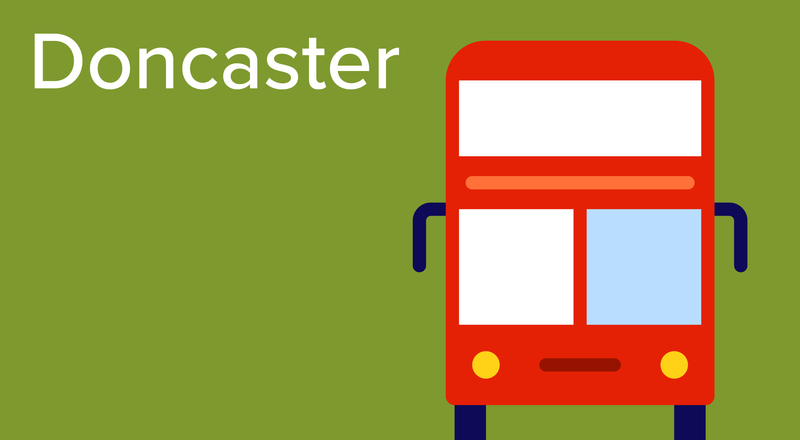 Find out more about Doncaster races HERE. One of two courses in Merseyside. Haydock Park is a dual purpose track that plays host to numerous quality jumps and flat races throughout the year. The highlights from each code come in November for the jumps; the Betfair Chase. This is the first leg of the prestigious £1 million Chase Triple Crown that also includes the King George at Kempton and the Cheltenham Gold Cup. Whilst on the flat, the Sprint Cup in September holds Group 1 status over 6 furlongs. 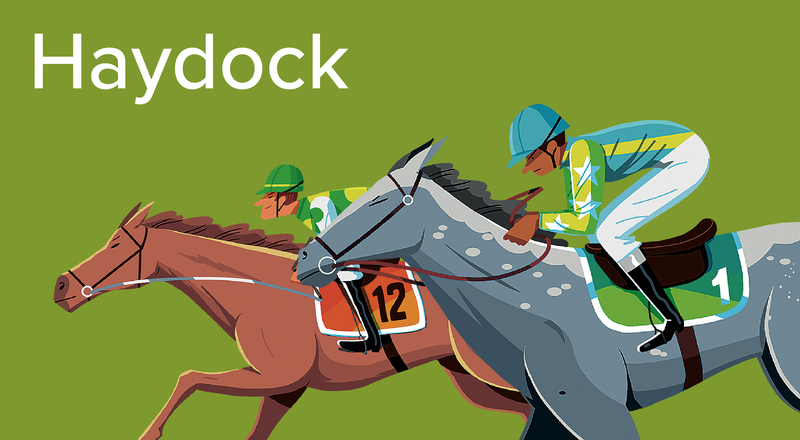 Find out more about Haydock races HERE. One of three courses situated in Berkshire, Newbury has hosted both flat and National Hunt fixtures since its first meeting in 1905. The area surrounding the course is known as the Greenham. Which is also the name of the Classic informative 3-year-old flat race held there in April. There are 31 total Group 1 races in the UK and Newbury’s is the Lockhinge stakes over a mile. It also holds big National Hunt meeting in November when the feature is the Hennessy Gold Cup. In late December when the Challow Novices’ hurdle takes centre stage. 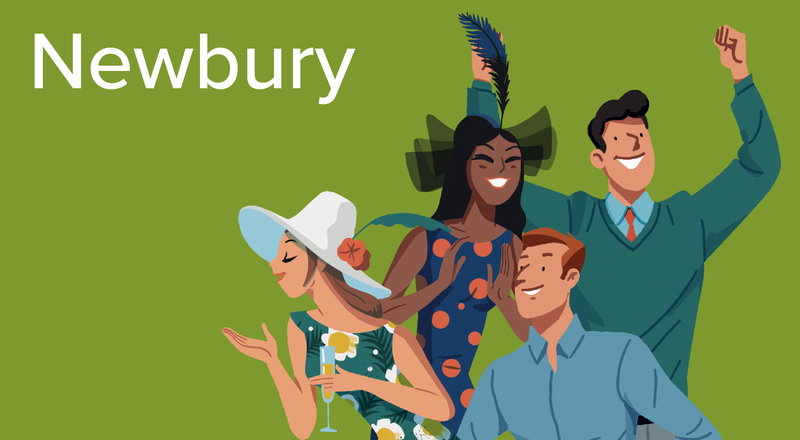 Find out more about Newbury races HERE. Unlike any of the courses previously mentioned, Windsor is laid out in a distinct and recognisable figure-of-eight shape. This allows the full complement of flat races to be run in a smaller area. Royal Windsor, as it is sometimes known, is located in Berkshire and has held race meetings dating back to 1866. There are a couple of Listed races and a Group 3; the Winter Hill Stakes which is the highlight of the year at the track, falling on a Saturday in August. 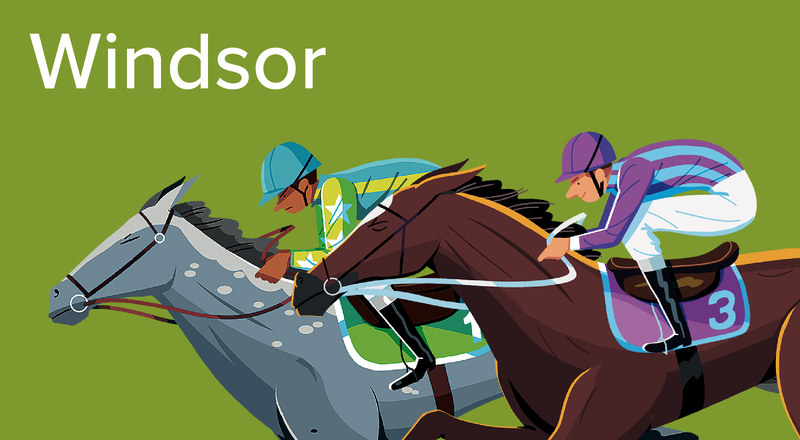 Find out more about Windsor races HERE. Newbury Racecourse in Berkshire opened in 1905 and has attracted some of the greatest horses in training both on the Flat and over jumps. The training centre of Lambourn is nearby and the course provides plenty of exciting opportunities for the locals. Legendary trainer John Porter, who began training in 1863, was integral in creating the racecourse and a Group 3 race is named in his honour. The Betfair Hurdle is the richest handicap hurdle in Britain and is run on Newbury’s Super Saturday in February, along with the Betfair Denman Chase and Game Spirit Chase. Formerly sponsored by Schweppes and the Tote, the contest has been run for more than 50 years with the likes of brilliant hurdlers Persian War, Deep Sensation, Landing Light and My Tent Or Yours on the roll of honour. The Denman Chase, run over three miles, is one of the key trials for the Cheltenham Gold Cup. The Grade 2 event has been won by Kauto Star (2007), Coneygree (2015) and Native River (2018), who all went on to win the Cheltenham Gold Cup. The race is named after the legendary Denman, who won it in 2008 before also going on to score in the same year’s Cheltenham Gold Cup. Run on the same day as the Denman Chase and Betfair Hurdle, the Game Spirit acts as a key trial for the Champion Chase on the Wednesday of the Cheltenham Festival. It was first run in 1953 and is named after Game Spirit, a successful horse owned by the Queen Mother. The brilliant Viking Flagship, Sprinter Sacre, Master Minded, Flagship Uberalles and Altior have all won the contest. Traditionally known as the Hennessy, until its sponsorship changed, the three-mile-two-furlong steeplechase is one of the most prestigious handicap prizes of the jumps season. It has been won by nine horses who subsequently won the Cheltenham Gold Cup, and Many Clouds won it before striking in the Grand National in 2015. Only three horses – Mandarin, Arkle and Denman – have won the race more than once since its first running in 1957. Run over a mile, the Lockinge Stakes is one of Britain’s foremost Group 1 races over a mile. Named after an area just north of Newbury, it is specifically for horses aged over four and above and has been won by the likes of Brigadier Gerard and Frankel. First held in 1991, the Weatherbys Super Sprint is one of the most unusual races in the Flat calendar with the weights of the horses decided by their purchase prices as yearlings. Penalties are added if they have won at Group, Listed or Class 2 level. The concept gives horses bought for less than £60,000 a better chance of winning a huge prize. Named after the outstanding Ian Balding-trained Mill Reef, who was a multiple Group 1 winner in the early 1970s, the Mill Reef Stakes is a Group 2 six-furlong event for two-year-old colts held in late September and has been won by the likes of Ribchester and Harry Angel in recent seasons. Trivia: Queen Elizabeth II spent her 86th birthday at Newbury racecourse. She watched the races from the royal box, although her two runners, Sequence ridden by Ryan Moore and Momentary ridden by Hayley Turner, did not win. Windsor racecourse, or Royal Windsor, as it is sometimes known, is located in Berkshire and has held race meetings since 1866 when it was known as Rays Meadow, but racing dates back to the time of Henry VIII. The venue has an unusual figure-of-eight shape and is known for hosting Flat meetings throughout the summer on Monday nights, although it also races on other days. One of the most notable events at the track in recent years was when Richard Hughes rode an incredible seven winners from eight races on the card in October 2012. The course used to hold jump racing but has not done so on a regular basis since 1998, primarily due to the necessity of preserving the ground for the Flat season. This Group 3 contest takes place each August and is the highlight of the year’s racing at the track. The leading jockey in the race is Frankie Dettori. Trivia: The course has been in the spotlight on numerous occasions. One of these occurred in 1926 when Winston Churchill, then chancellor of the exchequer, had introduced a new betting tax. This caused the on-course bookmakers to go on strike and ultimately the tax was ditched a year later. Haydock Park is a dual-purpose course that hosts high-quality jump and Flat racing throughout the calendar year. It is located in Merseyside close to the northern cities of Liverpool and Manchester. Racing took place at nearby Newton-le-Willows in the 1700s and 1800s, and when that track was closed in 1898 it was replaced a year later by Haydock Park. The track is generally considered sharp in nature and is left-handed. Owned and operated by the Jockey Club, Haydock races on 32 days of the year, making it one of the busiest tracks in Britain, and is home to many races steeped in history including the Grand National trial in February, the Temple Stakes in May and the Lancashire Oaks in July. Boasting four grandstands and 33 private viewing suites, restaurants, bars and leading conference facilities, Haydock Park has a well-earned reputation as one of the best racecourses in Britain. This Grade 1 is the most high-profile jumps race at the course, taking place in November for high-class staying chasers. It has been won on multiple occasions by Cue Card and the legendary Kauto Star, two of the most popular horses in modern jump racing. Kauto Star holds the record for the most wins in the race, having taken his tally to four in 2011. Held over a distance of three miles, one and a half furlongs, the race is the first leg of the prestigious £1 million Chase Triple Crown that also includes the King George at Kempton and the Cheltenham Gold Cup. Haydock hosts other well-known jump races such as the Peter Marsh Chase, the Champion Hurdle trial, a Grand National trial and the Swinton Handicap Hurdle, worth £100,000. Haydock is also home to the finale of the Challenger Series. The jewel in Haydock’s Flat season is the Haydock Sprint Cup, a Group 1 race over six furlongs in September that is a major target for Europe’s best sprinters. The event was established in 1966 and was originally open to horses aged two or older. It was devised by Robert Sangster, heir to the Vernons pools business and a leading racehorse owner/breeder. During the early part of its history, the race was sponsored by Vernons and held in early November. It was initially contested on a course with a sharp left-hand bend but is now run on the straight track. Haydock hosts plenty of good Flat meetings throughout the summer. The Old Newton Cup retains ties to the original course, while the Temple Stakes, Sandy Lane Stakes and the Lancashire Oaks are all Group 2 contests. Trivia: The great racemare Queen Of Trumps, who won the Oaks and the St Leger for trainer John Blenkhorn, was victorious at Newton in 1836. Doncaster has long been established as one of the oldest horseracing centres in Britain, with records of race meetings dating back to the 16th century. The historic Yorkshire course on Town Moor caters for both Flat and jump racing and hosts two of Britain’s 36 annual Group 1 races on the Flat, the William Hill St Leger Stakes and the Vertem Futurity Trophy Stakes. Doncaster hosts the first and last turf meeting of the season, starting with the Lincoln meeting in late March or early April and closing with the November Handicap meeting. Doncaster used to be considered the official start and end of the Flat season, but the official Flat season now starts at the Guineas Festival at Newmarket and finishes on British Champions Day at Ascot. Jump racing fills the remainder of the calendar, ensuring the course races all year round. Doncaster hosts its feature event, the four-day William Hill St Leger Festival, every September. The highlight is the St Leger, the oldest Classic race in the world, which was first staged in 1776. Held over a distance of one mile, six and a half furlongs, it is the last of the season’s five Classic races in Britain and the final leg of the British Triple Crown, following the 2,000 Guineas and the Derby. The last horse to win all three races was Nijinsky in 1970. The St Leger has inspired a number of similar events around the world, although many are no longer restricted to three-year-olds. European variations include the Irish St Leger, the Prix Royal-Oak, the Deutsches St Leger and the St Leger Italiano. The Lincoln Handicap is the feature event on the first Saturday of Britain’s Flat racing season on turf. 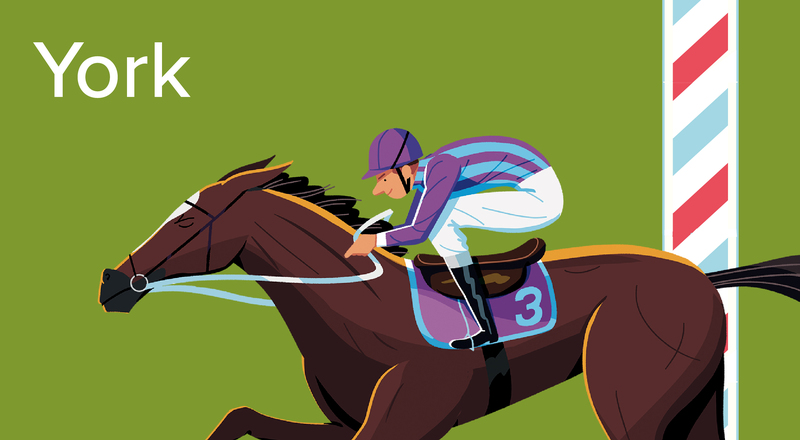 It usually takes place a couple of weeks before the Grand National and in traditional betting parlance the two races form the ‘spring double’. William Haggas is the joint-leading trainer in this event with four wins. The earliest important race in Doncaster’s history was the Doncaster Gold Cup, first run over Cantley Common in 1766. It is the oldest continuing regulated horse race in the world. Together with the Goodwood Cup and the Ascot Gold Cup, the Doncaster Cup is one of the most important races for long-distance horses in Britain. The three races make up the stayers’ triple crown. The Futurity Trophy Stakes is the final Group 1 race of the year in Britain and is open to two-year-old colts and fillies. Five winners have subsequently won the Derby the following year. The most recent was Camelot in 2011-12. Sir Henry Cecil won this race an unprecedented ten times, with his first win coming in 1969, 24 years before his last. Doncaster plays host to some top-quality jump racing over the winter. The course holds five Grade 2 races and two prestigious handicaps over hurdles and fences, including the Great Yorkshire Chase which was first run in 1948. Trivia: The St Leger was devised by Anthony St Leger, an army officer and politician who lived near Doncaster. It was initially referred to as ‘A Sweepstake of 25 Guineas’ and was run over a distance of two miles. York is one of the premier Flat racecourses in Britain with a rich history. It is the third biggest racecourse in terms of prize-money offered and second behind Ascot in prize-money offered per meeting. York attracts around 350,000 racegoers per year. Records indicate racing first took place in some form in the city as early as 1530. The current course, on the Knavesmire close to the city centre, did not host racing until approximately 1731. Yorkshire is a county with many racecourses, but the high-quality fare at York adds an enormous amount to the region’s racing pedigree. York’s biggest meeting is staged over four days in August, with the track’s most valuable race, the Group 1 Juddmonte International Stakes, currently taking place on the opening day. It is one of the most prestigious events of the season and numbers Frankel and Sea The Stars among the winners in the past ten seasons. Legendary jockey Lester Piggott won the race five times, a record matched by Frankie Dettori when he scored on Authorized in 2007. The feature race of the meeting is the Ebor Handicap, which has been hosted on the Knavesmire since 1843 and is the most valuable Flat handicap race in Europe, with a staggering £1 million in prize-money. Lester Piggott had a great record in this race, winning five times. The Group 1 Darley Yorkshire Oaks takes place on the Thursday of the Ebor meeting and often features horses who ran previously in The Oaks. The first to achieve victory in both races was Brown Duchess in 1861, a feat Enable matched in 2017. This sprint began life as a low-grade selling race but is now a Group 1. Worth £350,000, it is one of the most prestigious races of its type and the winner earns an automatic invitation to compete in the same year’s Breeders’ Cup Turf Sprint in America. The Great Voltigeur Stakes, and two-year-old contests such as the Lowther Stakes and Gimcrack Stakes, ensure high-quality racing is not restricted to just the top-tier contests. York’s Dante meeting in May features the Betfred Dante Stakes, a key trial for the Derby at Epsom. The event is named after Dante, the Yorkshire-trained winner of the Derby when it was held at Newmarket in 1945. Golden Horn went on to win the Derby after winning the race in 2015. The track also hosts the Betfred Yorkshire Cup, which is part of the recently introduced Weatherbys Hamilton Stayers’ Million. Other notable races include the John Smith’s Cup and the Sky Bet York Stakes. Trivia: York is situated on an expanse of ground which has been known since pre-medieval times as the Knavesmire, from the Anglo-Saxon ‘knave’ meaning a man of low standing and “mire” meaning a swampy pasture for cattle. Newmarket is widely regarded as the home of Flat racing due to the town’s rich history in the sport. Horseracing at Newmarket racecourse dates back to the early 16th century and the reigns of James I and Charles II, who was known to attend races on the Heath. Until 1744, the two most valuable races run at the course were the King’s Plate and the Town Plate. The town of Newmarket is estimated to be home to more than 3,000 horses across 70 training yards. Many of the most successful trainers are based in Newmarket, such as Sir Michael Stoute and John Gosden. There are two racecourses in Newmarket that operate at different times of the Flat racing season. The Rowley Mile was named after Old Rowley, Charles II’s favourite racehorse, and is best known for hosting the 1,000 and 2,000 Guineas in the spring and many top races in the autumn, while the July course hosts racing during the summer months. Both tracks have a capacity of just over 20,000. The Guineas Festival is Newmarket’s most prestigious meeting and features the 1,000 Guineas and 2,000 Guineas, the first two of the five Classic races run during the Flat season. The 2,000 Guineas, for colts and first run in 1809, and the 1,000 Guineas, for fillies and first run in 1814, were originally named after the prize for each of the races. They are both run over a mile on the Rowley Mile course. The July Cup is one of the leading sprint contests of the season and is run on the July course over six furlongs. Inaugurated n 1939, it is one of the first major sprint events of the season when three-year-olds take on their older rivals. Legendary jockey Lester Piggott had a terrific record in the race, winning on ten occasions. The Cheveley Park Stakes and Middle Park Stakes are Group 1 races for two-year-olds run on the final weekend of September. Both are held over six furlongs and are a major target for juvenile sprinters and potential contenders for the following season’s Guineas races. The Middle Park is for colts and the Cheveley Park is for fillies. First run in 1839, these are two of the oldest handicaps in Britain. The Cambridgeshire is staged in late September and is run over a mile and a furlong, while the Cesarewitch is run two weeks later over the marathon trip of two miles and two furlongs. Both events attract fields in excess of 30 runners. Run on the Friday of the two-day Future Champions Festival in the middle of October, the Fillies’ Mile is a prestigious Group 1 event for two-year-old fillies run on the Rowley Mile course. The seven-furlong Dewhurst Stakes is a major race for two-year-old colts and is run on the Saturday of the Future Champions Festival on the Rowley Mile. Winners of the Dewhurst often go on to win Classic races the following year. Trivia: The first recorded race at Newmarket was a match for £100 between horses owned by Lord Salisbury and the Marquess of Buckingham in 1622. Goodwood racecourse, located five miles north of Chichester in West Sussex, races exclusively on the Flat and is home to 16 Group races. Situated on top of the Sussex Downs, the course is known for its picturesque backdrop and unique undulations and is one of the most popular venues in Britain. Racing takes place at the track from May to October and the highlight is the Qatar Goodwood festival, popularly known as Glorious Goodwood, in late July/early August. Like Royal Ascot, Glorious Goodwood is a major feature of the social and racing calendars. Pimm’s and panama hats are the trademark symbols of the five-day meeting that bridges July and August at one of the most beautiful racecourses in Britain. The Qatar Sussex Stakes is the highlight of the meeting and has been won by top-class racehorses such as Brigadier Gerard and Frankel. One of Goodwood’s most memorable races took place in 2011 when the mighty Frankel took on leading older miler Canford Cliffs in the Sussex Stakes. Frankel came out on top in what was labelled the ‘Duel on the Downs’ to win his eighth race in a row, part of a 14-race unbeaten career. The Qatar Stewards’ Cup, a six-furlong cavalry charge, is a famous betting race, loved by bookmakers and punters alike. For several years in the 1830s, the senior steward at Goodwood racecourse presented an annual cup to the winner of any race of his choosing. The choice varied each year, and the trophy was awarded for events with distances of up to 1½ miles. A perpetual race for the Stewards’ Cup over a sprint distance of 6 furlongs was conceived by Lord George Bentinck in late 1839, and the inaugural running took place the following summer. The race has been won by distinguished sprinters such as Ian Balding’s Lochsong and the brilliant Battaash. Established in 1808, the Group 1 Qatar Goodwood Cup is one of the leading stayers’ races. It is held on the opening day of the Glorious Goodwood meeting and constitutes the third leg of the Stayers’ Million for staying horses, won by Stradivarius in 2018. Double Trigger won the race three times for trainer Mark Johnston. The royal family’s passion for racing is well documented and is marked by the King George Stakes. It is run over a distance of five furlongs and was founded to commemorate the coronation of King George V. The leading participants often go on to compete in the Nunthorpe Stakes and the last to win both races in the same year was Lochsong in 1993. Finally, the Group 1 Nassau Stakes offers a show-stopping finale as fillies and mares compete over a distance of a mile and a quarter. The title of the event acknowledges the friendship between the fifth Duke of Richmond, a former owner of Goodwood racecourse, and the House of Orange-Nassau, and was won in 2018 by the Charlie Appleby-trained Wild Illusion. Trivia: In the late 18th century, Goodwood became the location for the first flag start on a British racecourse, at the behest of Lord George Bentinck. Ascot is arguably the most prestigious racecourse in Britain. The Berkshire track holds races on the Flat and over jumps, including many season-defining contests, and has a close association with the royal family. The highlight of the calendar is the historic Royal Ascot meeting, which takes place over five days in June and traces its roots back to the foundation of the course in 1711 by Queen Anne. The track underwent a major redevelopment in the early 2000s, with a new grandstand opened in 2006 by the Queen. The royal meeting is one of the highlights of the British Flat racing season, as well as the social calendar, and takes place over five days in June every year. Famed for its traditional dress code and daily royal procession, the meeting features top-class and ferociously competitive action, drawing the best horses not only from Europe but from across the world. Eight of the 30 races are Group 1s. The Queen Anne Stakes traditionally opens the meeting on Tuesday and the opening day also features two more Group 1s, the King’s Stand Stakes and the St James’s Palace Stakes. Wednesday’s highlight is the Prince of Wales’s Stakes, while Thursday’s card revolves around the Gold Cup. Friday features the Coronation Stakes and the relatively new Commonwealth Cup, while the last Group 1 of the meeting is the Diamond Jubilee Stakes, which is run on the Saturday. Since 2011, Ascot has hosted Champions Day, a major event towards the end of the Flat season in October. Transferred from Newmarket, the race day is now Britain’s richest and comprises five tremendous Group races – the Champion Stakes, Queen Elizabeth II Stakes, Long Distance Cup, Champions Sprint and Champions Fillies’ and Mares Stakes – as well as the Balmoral Handicap. In 2018 the day was worth a record £4.35 million in prize-money. The jumps season at Ascot starts a few weeks after Champions Day and continues to early April, with the Coral Hurdle (November), the Long Walk Hurdle (December), the Clarence House Chase (January) and the Ascot Chase (February) among the high-quality fare on offer over the winter. Away from Royal Ascot and Champions Day, the main highlight of the Flat season at Ascot is the King George VI and Queen Elizabeth Stakes, a Group 1 over a mile and a half that is Britain’s most prestigious open-age Flat race. The Shergar Cup is an annual horse racing event held at Ascot, usually during early August. The event is named in honour of Shergar, the 1981 Epsom Derby winner, and was originally sponsored by Shergar’s owner, the Aga Khan. The event is currently sponsored by Dubai Duty Free. Trivia: The first race at Ascot, Her Majesty’s Plate, with a purse of 100 guineas, was held on August 11, 1711. Set in the heart of the Cotswolds, Cheltenham racecourse has hosted racing since 1815 and now showcases some of the best jump racing in Britain. The highlight of its calendar is the Cheltenham Festival, which runs for four days in March and features 28 races, including 15 Grade 1 events. It is the most popular jumps meeting in the world with more than 65,000 racegoers each day and is widely considered the pinnacle of the jump racing season. Every owner, jockey and trainer dreams of a winner at the Cheltenham Festival. Iconic duo Ruby Walsh and Willie Mullins have combined to be Cheltenham Festival top jockey and trainer five times, while Walsh has managed a further six top jockey titles. The Grade 1 Supreme Novices’ kicks off the Cheltenham Festival in March. It is run on the Old Course and is often a gateway to bigger prizes, with 2018 Champion Chase winner Altior on the race’s roll of honour. The Racing Post Arkle pits the best novice chasers against each other. Several winners have gone on to win the Champion Chase, including Altior. In 2018 the race was convincingly won by the Willie Mullins-trained Footpad. The Unibet Champion Hurdle is one of the most prestigious races at the Cheltenham Festival and takes place on the opening day. Its list of winners features many of the most highly acclaimed hurdlers in the sport’s history, including three-time winners Hatton’s Grace, Sir Ken, Persian War, See You Then and Istabraq. The RSA Chase is run on the Wednesday of the Cheltenham Festival. This is another race for novice chasers run over a longer distance than the Racing Post Arkle. Several winners of the race have gone on to win the most prestigious race in the jumps calendar, the Cheltenham Gold Cup. The most recent horse to do so was Lord Windermere. This Grade 1 is the leading two-mile race in the jumps calendar and is the feature race on the second day. It was given its present title in 1980 – the year of the Queen Mother’s 80th birthday – in recognition of her support for jump racing. The JLT Novices’ Chase takes place on the third day of the Cheltenham Festival. The leading jockey in the race is Ruby Walsh, who has won it three times. His most recent win came with Yorkhill in 2017. The Ryanair Chase is open to horses aged five or older and was introduced when the festival gained an extra day in 2005. The Stayers’ Hurdle is the leading long-distance hurdle race in the jumps calendar and is run on the Thursday of the Cheltenham Festival. Big Buck’s, trained by Paul Nicholls, won the race a record four times. The Triumph Hurdle is a Grade 1 race run over two miles and a furlong and exclusively contested by juvenile hurdlers. The race was won in 2014 by Tiger Roll, who went on to win the 2018 Grand National. The Albert Bartlett Novices’ Hurdle is run before the Cheltenham Gold Cup. The Grade 1 race is for novice hurdlers and was won three times by legendary jockey Sir Anthony McCoy. The Cheltenham Gold Cup is the biggest race on the track’s calendar, featuring the best three-mile chasers. It is the most valuable non-handicap race in Britain and its roll of honour features legendary horses such as Arkle and Kauto Star. It takes place on the Friday of the Cheltenham Festival. While the Cheltenham Festival dominates both Cheltenham’s season and the National Hunt campaign in general, there is plenty of other top-quality action at the track. Cheltenham typically hosts racing from October through to May, with the last meeting of the season solely for hunter chasers. The November meeting is the first main fixture of Cheltenham’s season, while Trials Day in late January is often used as a stepping stone for runners being prepared for the festival. The BetVictor Gold Cup, a Grade 3 handicap chase over two and a half miles, is the centrepiece of the three-day November meeting. Another important race at the meeting is the Shloer Chase, a Grade 2 contest over two miles. The Caspian Caviar Gold Cup, or the December Gold Cup, is a Grade 3 handicap chase run over two miles and four and a half furlongs at the December meeting and is often contested by prominent finishers from the BetVictor Gold Cup, although only three horses have won both races in the same season – Pegwell Bay, Senor El Betrutti and Exotic Dancer. Trivia: For the last six years the top trainer at the Cheltenham Festival has been based in Ireland.